Veneers: a conservative, non-aggressive way to revitalize your smile. Ceramic veneers work wonders for tooth reshaping and resizing. The attraction of veneers is not only the final result, but the conservative nature of preparation (shaping) means that very little natural tooth structure is altered. One thing that is unique to our smile cosmetic services is that Dr. Klim designs, fabricates, and finishes all the ceramics crowns and veneers provided in our office. Know internationally for his cosmetic lecturing and ceramic technique manuals, his customized functional and artistic results attract patients from around the the globe. Dr. Klim is also know for being the dentist for the dentists. When veneers are bonded into place, the original strength of the tooth is captured. Dr. Klim has found that this is the ideal treatment for smile enhancement that requires more than just whitening. Veneer treatment is also time-friendly. When the situation is right, the veneer procedure can be provided by Dr. Klim in one appointment. 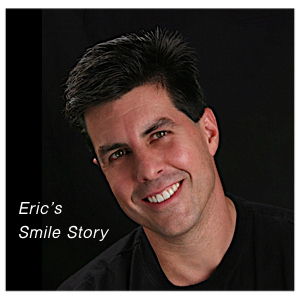 Depending on the treatment objectives, it may takes two appointments to complete a smile makeover. Often it is helpful to have transition veneers to use as a prototype for aesthetic design and emotional imprinting. This will provide Dr. Klim the artistic insight to custom craft the final ceramics to fulfill the best result for the makeover. The second appointment involves the bonding of the custom veneers with the final adjustments and polishing. See how natural the gum tissues are! This is another advantage to current veneer techniques. The ceramic veneers blend in so precisely with the natural tooth structure that the boarders (margins) are finished without intruding on the gumline. The result is that finishing and polishing can be accomplished at the highest level. This virtually eliminates any chance for contamination during the bonding process (which is the reason for staining in some situations following veneer placement). So as you can see, technique and skill of the dentist, combined with an artistic eye, is vital for achieving a beautiful and stable final result. Client desired to straighten and reshape teeth without braces. Custom crafted veneers- designed to fill spaces, reshape edges, and make the perfect color transition for an attractive smile makeover. Final smile makeover-accomplished by “biologically super gluing” the specially crafted porcelain veneers to the existing teeth.